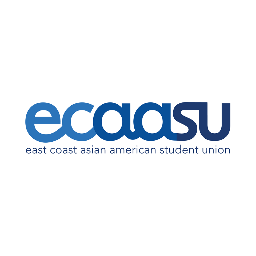 The ECAASU Annual Conference is the oldest AAPI student conference in the United States. In the past 40 years, the ECAASU Conference has brought together students from across the country to create opportunities for thoughtful dialogue, debate and insight regarding key issues affecting the AAPI community. Bio: This is the wholesome content that I'm here for. 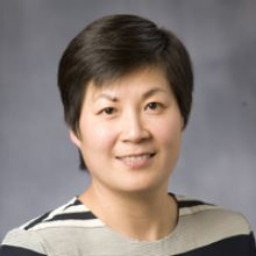 Bio: Li-Chen is responsible for providing leadership for the development, implementation and assessment of intercultural programs and services in support of the strategic plan for Student Affairs and global mission of the University. She oversees the operations of the Center for Multicultural Affairs, International House and Muslim Life at Duke. She also serves as an academic advisor for first and second year students in the Trinity College of Arts and Sciences, and is an affiliated faculty with Program in Education. Li-Chen received her B.A. in music from National Taiwan Normal University in Taipei and her M.M. and Ph.D. in music education from the University of Oregon in Eugene. 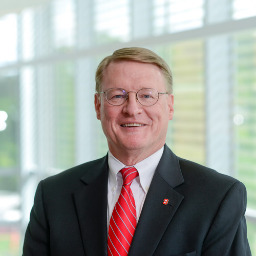 Prior to joining Duke in 2008, she worked at Bryn Mawr College, the University of Pennsylvania, Michigan State University, and the University of Oregon. In her free time, Li-Chen enjoys playing clarinet and piano, reading, cooking, crocheting, and spoiling her dogs. Bio: Anisha Singh is the Campaign Manager for Legal Progress at American Progress. In this capacity, she shapes the conversation around the nation’s judicial process by managing unprecedented grassroots organization efforts across the country to educate Americans on the need to fill judicial vacancies with diverse, progressive judges so that historic backlogs can be remedied and cases can be heard in a timely manner. She was named one of Forbes magazine’s “30 under 30“ for law and policy in 2016. She previously served as a policy attorney and project manager for United Sikhs, where she focused on human and civil rights advocacy on behalf of minority communities internationally, with an emphasis on post-9/11 discrimination concerns. She single-handedly managed the Washington, D.C., chapter, cultivating key relationships with the White House and on Capitol Hill, and founded United Sikhs’ national Anti-Bullying Campaign to proactively assist victims of bullying through presentations and resources in partnership with the White House Anti-Bullying Initiative and the U.S. Department of Education. 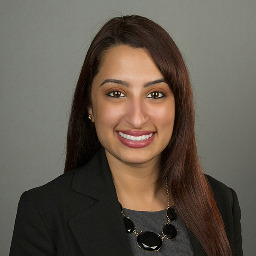 As counsel for United Sikhs, Singh won a historic anti-discrimination case against the U.S. Army, and prior to that, as a student at the University of Virginia School of Law Immigration Law Clinic, she won a case as counsel for female clients seeking legal status under the Violence Against Women Act. Bio: Born in Durham, NC and raised by Japanese immigrants, George Masao Yamazawa, Jr. is widely considered one of the top young spoken word artists in the country. "G" is the youngest poet to become a National Poetry Slam Champion, Individual World Poetry Slam Finalist, and Southern Fried Champion, and has toured over 150 universities both domestic and interna- tionally. National Poetry Slam Champion, Audience Choice Award Recipient of the Inaugural Kollaboration Star and 2013 Kundiman Fellow, G has been featured at the Sundance Film Festival, Bonnaroo Music Festival, TV One's Season 3 of Verses and Flow, the Pentagon, and the White House Initiative on Asian Americans and Pacific Islanders. G’s poetry has been published in Beltway Quarterly, Asian Fortune Magazine, and 27 Views of Durham, and he has shared stages with Sonia Sanchez, Michelle Kwan, Danny Glover, and VP Joe Biden. An advocate for youth empowerment, G also has extensive experience as a teaching artist facilitating writing/performance workshops for inner city youth in the Washington, DC public school system through Split This Rock, a nationally recognized non-profit organization with a focus in political poetry. G currently lives in Los Angeles, working on a full-length LP. Bio: Jaiyah Saelua, born John Saelua in Leone, American Samoa, is a member of the American Samoa senior men's national soccer team. Jaiyah identifies as a fa'afafine, which is the 3rd gender specific to the Samoan people. In 2011 she became the world's first out transgender person to compete in a FIFA-sanctioned tournament, marking the beginning of her career as an advocate for transgender people in sports. She is featured in a documentary called "Next Goal Wins" that premiered at the 2014 Tribeca Film Festival, and has shown at various international film festivals around the world. Her work with FIFA landed her on the cover of the September 2016 issue of the FIFA 1904 Magazine. Jaiyah remains the only out transgender person in the world of international soccer, and hopes more transgender athletes across the globe find inspiration to come out. 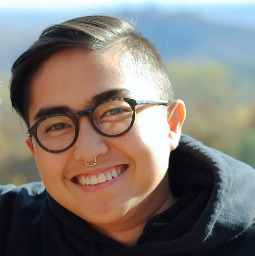 Bio: Kat Tan is a spoken word poet, queer PoC, and good listener. She is the UNC 2017 Grand Slam Champion and two-time member of UNC's CUPSI team. She attends the University of North Carolina at Chapel Hill and Duke University as a second-year Robertson Scholar, pursuing a B.A. in Bioethics and minors in Fiction Writing and Chemistry. Find more of her work at katoutofbag.com. 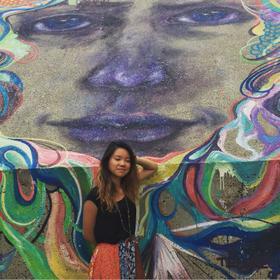 Bio: Loan Tran (they/them) is a Vietnamese immigrant, queer, and gender non-conforming writer and organizer. Currently based in Durham, NC they serve as the Director of the Youth Organizing Institute where they support youth of color, LGBTQ youth, and other marginalized youth organize for education justice and against the school to prison pipeline. In their community they organize for solidarity with all struggles, Black and Brown unity, and an end to capitalism and its modes of oppression. In March of 2016, they were 1 of 5 queer, trans, and gender non-conforming people who were arrested for civil disobedience in front of former Governor Pat McCrory's mansion in protest of anti-trans, anti-worker bill HB2 which is now law in NC. Bio: Lydia Paek is a Korean American singer, songwriter, and dancer. 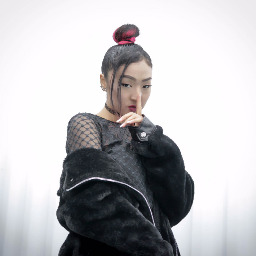 Born in California, Lydia has been a member of Quest Dance Crew, and currently works in South Korea as a songwriter and producer for the world famous YG Entertainment. She has worked with BigBang, 2NE1, and many other artists. Lydia also has her own YouTube channel and SoundCloud account where she uploads her covers of popular songs, receiving millions of views. 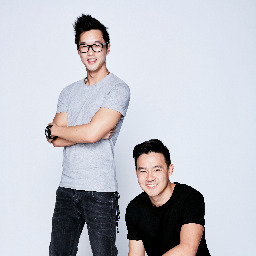 Bio: Philip Wang, Wesley Chan, and Ted Fu founded Wong Fu Productions, a digital production company, in 2003 before YouTube was even invented. Since then they've amassed over 2.5 million subscribers around the world with over 400 million views of their dramatic short films and comedy sketches. Their creative work has been recognized for its striking quality and emotional depth as well as its authentic representation of Asian Americans, earning honors and praise from organizations like CNN, NPR, and even the White House. As pioneers and leaders in the ever-growing space, Wong Fu Productions continues to expand on and off their channel, most recently with their film "Everything Before Us" being released on Netflix and just releasing their original series "Single by 30" on Youtube's premium service, Youtube Red.